I was a bit dubious if the potatoes would cook as well but they did. The kids seemed to prefer them as a topping to mash. I may never make mash again! This looks absolutely scrummy, and yes I'm sure it would go down a treat with all my family. Thanks so much for sharing with Family Foodies! Clean plates all round - I can't ask for any more! 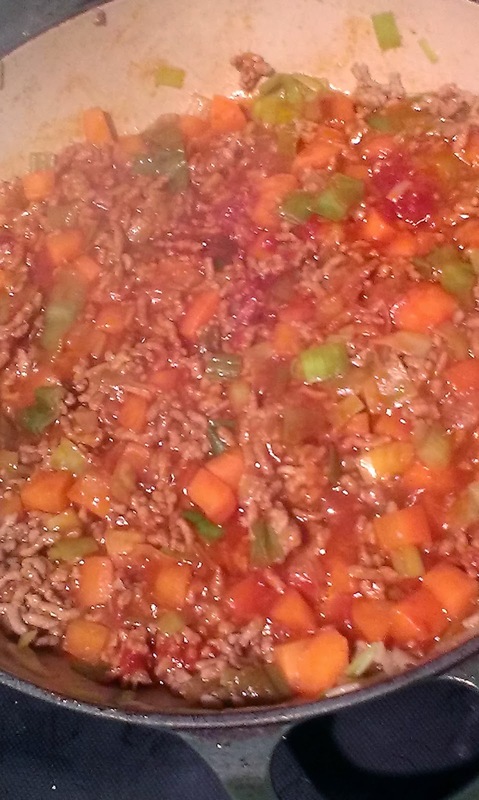 When I making it I was thinking it would work well with beef mince too. think I would substitute the leeks for onions and add some peas in as well. I hope you enjoy your version when you get to cook it. It looks lovely. My mum used to layer potatoes like this and sometimes you got a hard one which then put me off so I think I'd find it hard to give up mashed potato. I think the trick is to make sure all the potatoes are sliced to the same thickness. Give it a try!